From "free speech zones" to "sensitivity training" to "speech police", it's dangerous to say the wrong thing on a college campus nowadays. 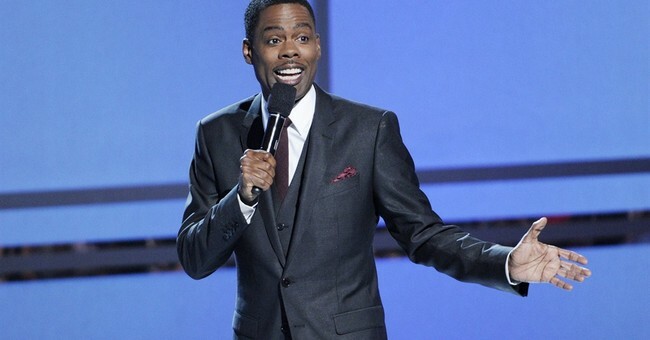 Nobody knows that better than professional comedians - and Chris Rock has said it's the reason he has quit doing shows for colleges. In an interview with Vulture, Rock says that the cult of political correctness never went away. "It's back stronger than ever," he said, because "they think they can hurt comedians." I stopped playing colleges... [it's] their willingness not to offend anybody. Kids raised on a culture of “We’re not going to keep score in the game because we don’t want anybody to lose.” Or just ignoring race to a fault. You can’t say “the black kid over there.” No, it’s “the guy with the red shoes.” You can’t even be offensive on your way to being inoffensive. ...This is not as much fun as it used to be. Rock further lamented the culture of social media and offensiveness, saying that if a comedian slips up even once, it'll get blasted out on social media and that the comic's career might be ruined. "It's scary," he said, "because the thing about comedians is that they're the only ones who practice in front of a crowd... if you think you don't have room to make mistakes, it's going to lead to safer, gooier stand-up." In the meantime, here's Rock doing some very un-politically-correct standup that might get him booed off a college campus in the 21st century. Serious language warning - and, for any college students watching, trigger warning.